This major new book draws together key essays by one of Europe's leading social and political theorists. Ulrich Beck is Professor of Sociology at the Ludwig-Maximilian University in Munich. "Full of ideas and insights and thus extremely stimulating reading ... essential reading for those seeking to bridge the gap between theory about societies and theories about world politics - a bridge that is urgently needed." 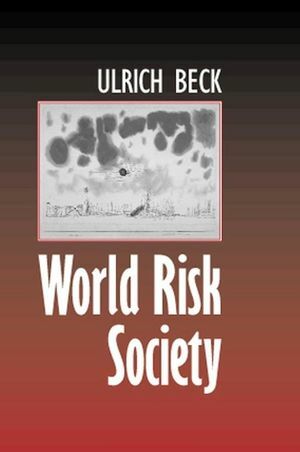 "A critical and dispassionate account of ecological threats that are wealth-driven, poverty-driven, or are owed to nuclear, biological and chemical means of mass destruction; a powerful discourse on risk calculation and insurability that permeates the book in an almost metaphorical sense; and, as a bonus for the disappointed student of socialist political economy, a poignant if implicit refutation of liberal economics and rational choice theory as meaningful explanatory tools of reality." * Brings together recent work of one of Europe's leading social and political theorists. * Addresses some of the criticisms provoked by his earlier work on the ecological and technological questions of risk. *3. Proposes a 'Cosmopolitan Manifesto' as a way to develop a global political response to the challenges of risk society.